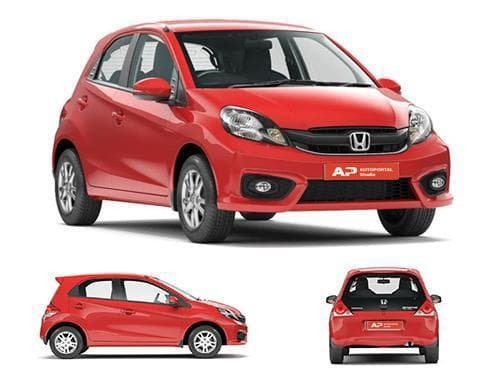 Honda Brio hatchback is one of the best looking hatchbacks in town. The car has been blessed with features, which would make your journey comfortable and very safe. The top end variant of the hatchback has been installed with ABS. 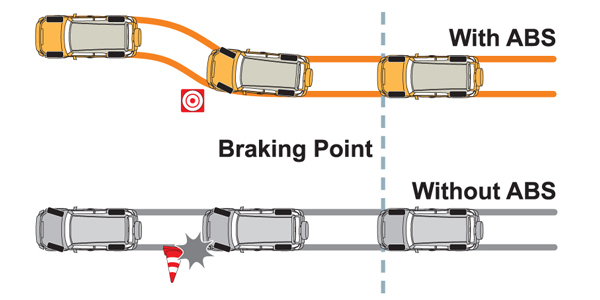 the Anti-Lock braking system has two major functions. One is to stop the wheels from locking up when immediate brakes are applied and the other one is to prevent the car from skidding on slippery roads. This one is accompanied by electronic brake force distribution system and brake assist. This allows the vehicle control in a much stronger way. The braking system comprises of disc brakes for the front and drum brakes for the rear. The handling of the car is stunning and the credit for the same goes to its power steering wheel united with an awesome suspension system. Its competitors like Maruti Swift, Hyundai i10 and Ford Figo all come with ABS, but Brio’s charm steals the show. More Honda cars with ABS.